What is Your Social Media Campaign Missing? Social media isn’t just a way to keep up with friends and family. In today’s business world, it has become the lifeblood for how we, the business leaders of tomorrow, stay connected with our customers. For those of you who are just getting starting, you may realize there is a learning curve associated with using Facebook and Twitter as a business practice. This is why it is important to decide early on who will be managing your brand’s social pages. Be sure to educate all employees on what their role is and how everyone can share their responsibilities and reach the company’s goals. Another key part in your social media campaign should be to develop a way to analyze success and measure feedback. A productive social media campaign should give you the ability to talk to customers, hear their grievances, respond to their feedback, and suggestions. Competition is fierce in today’s market place. This is why it is critical to position yourself early as the ultimate authority in your field, instituting your brand. To do this, a brand must be connecting with the customers. If you present your brand as human, and not just a logo, you will get better results. In developing a social media campaign this article talks about a few objectives. When taking this first step you should recruit very different minds to work together on a strategy. Not every mind thinks alike, but when you combine very different minds, the outcome could be incredible. You never know which employee sitting around the office could be the one to create that award-winning plan. A cross-functional team should always be the go-to group to manage your social network. Together, the team should establish what your goal is, who your target audience is, and how to approach them. 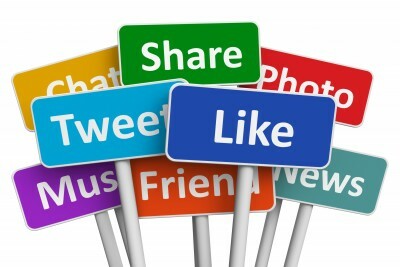 Initially, the social media campaign should focus on one particular area be it brand awareness, loyalty, or sales. If it’s brand you are trying to establish, you need to know it inside and out. Building a brand can be tricky business so understand what sets yours apart from the others and sell that to the customers. If you have a good understanding of who it is you are trying to market your goods or services listen to them. Customers are a company’s biggest resource. If you are interacting with followers and friends on social media like a human being and not a giant corporation, feedback can be significant. If you’re struggling with social media we can help you get started. Contact us about developing a social media campaign that meets your goals and maximizes your return on investment. This entry was posted in Social Media Marketing and tagged brand, company brand, developing a social media campaign, engage customers, managing your social network, marketing strategy, social media, social media campaign, social media strategy, social media tools, Susan J. Campbell Copywriting Solutions. Bookmark the permalink.